How do you move on from an irreplaceable loss? 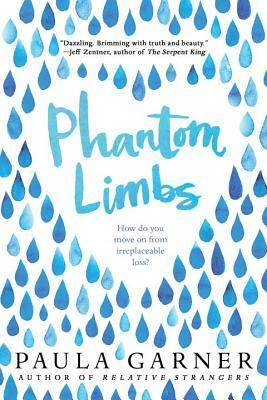 In a poignant debut, a sixteen-year-old boy must learn to swim against an undercurrent of grief -- or be swept away by it. Otis and Meg were inseparable until her family abruptly moved away after the terrible accident that left Otis's little brother dead and both of their families changed forever. Since then, it's been three years of radio silence, during which time Otis has become the unlikely protégé of eighteen-year-old Dara -- part drill sergeant, part friend -- who's hell-bent on transforming Otis into the Olympic swimmer she can no longer be. But when Otis learns that Meg is coming back to town, he must face some difficult truths about the girl he's never forgotten and the brother he's never stopped grieving. As it becomes achingly clear that he and Meg are not the same people they were, Otis must decide what to hold on to and what to leave behind. Quietly affecting, this compulsively readable debut novel captures all the confusion, heartbreak, and fragile hope of three teens struggling to accept profound absences in their lives.